Planning a party? Let us help...We make a living at it! Call today to speak to an event specialist to open the door to your dream event. 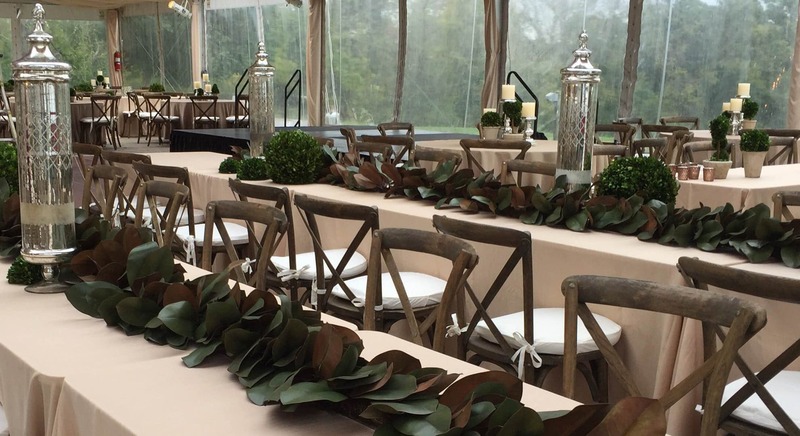 For over 68 years, The Alleen Company has provided event planning and rental services for a variety of important events in the Cincinnati area. No matter the occasion, scope of your vision, or the size of your budget, The Alleen Company is here to help you bring your event to life. We are excited to announce that The Alleen Company, and Lasting Impressions Event Rental have merged together under common ownership! We look forward to sharing more information on our merge in the near future! 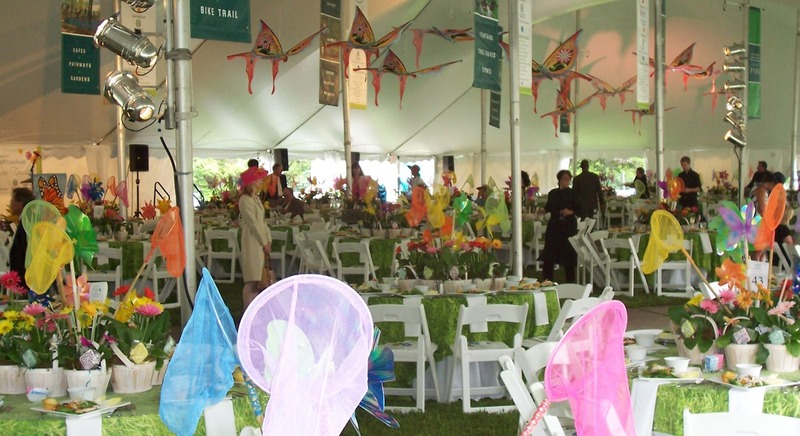 We are now able to offer an even greater tent inventory, an impressive selection of specialty linens, table top items, new chair styles, and much more! Planning an event on your own can be an overwhelming and time-consuming task. 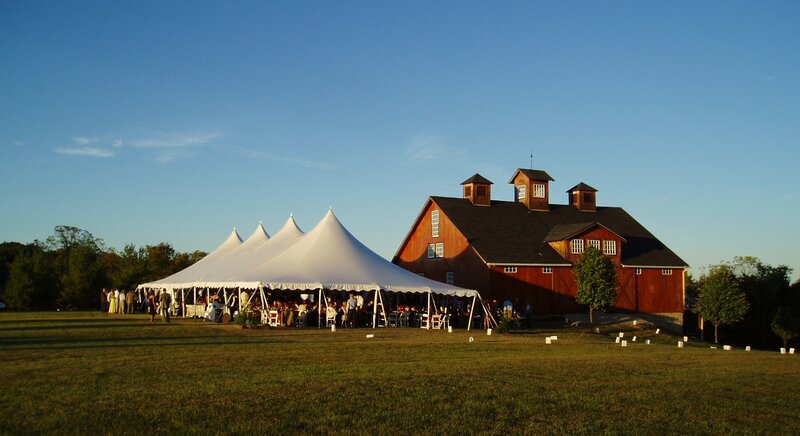 The Alleen Company has the experience and knowledge to help you plan your event. Since 1951, we have led the way in the industry of event planning, organizing a variety of special occasions in the tri-state area. We pride ourselves on being the original event planning company, and with decades of experience and knowledge, our team knows how to pull off a large-scale event without a hitch. 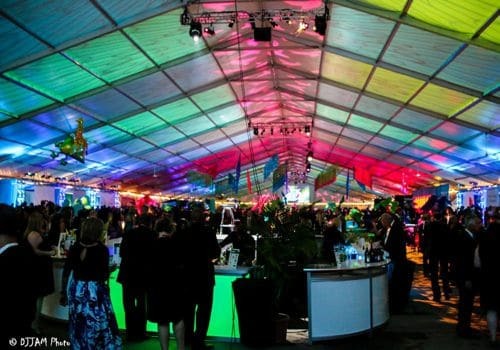 Whether you are planning a fundraiser, an evening gala, a corporate retreat, community event, or a wedding, a tent rental is the only way to go for outdoor events. 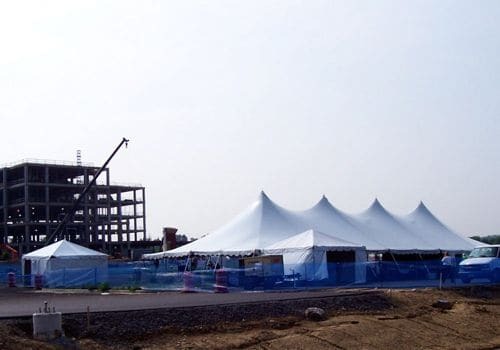 For rentals, we offer a wide variety of sizes and styles, each which the capacity to handle large crowds. We have the experience and expertise to help you. 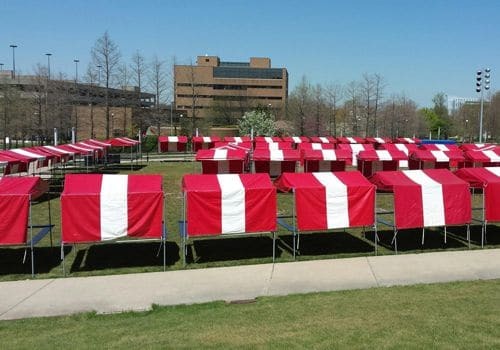 To book a tent for your next event, be sure to visit our tent rental page. 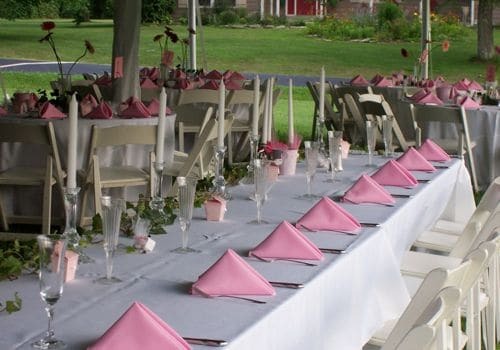 In addition to tent rentals, we also offer rental options for tables, chairs, linens, serving equipment, glassware, and more. To take a look our selection, browse our online catalog or contact us today and schedule a tour of our showroom. 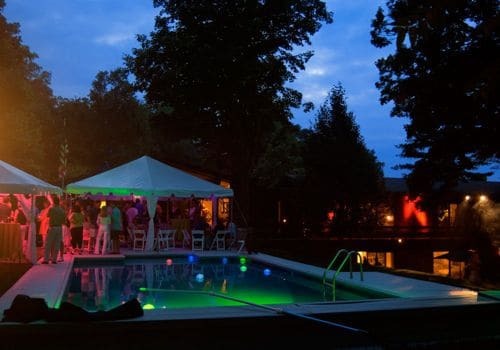 We pride ourselves on being the go-to event planner for the Cincinnati area. 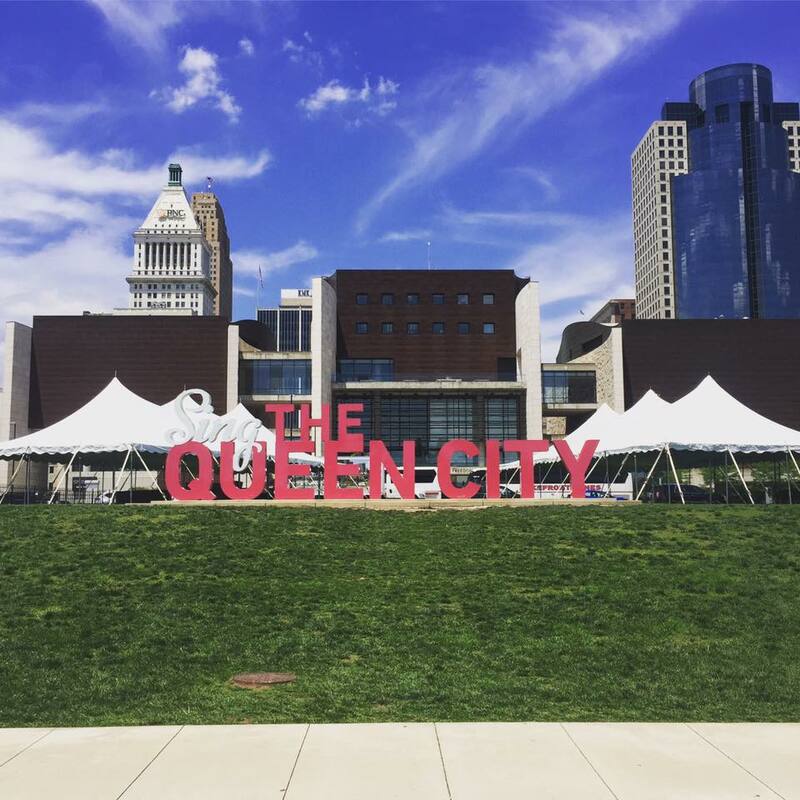 Each year, we plan several key events that are key to the foundation of Cincinnati’s culture and community life. 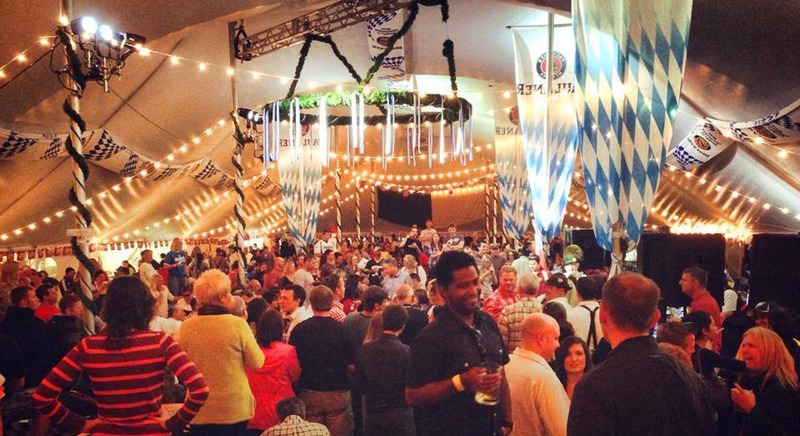 In addition to planning private parties and weddings, we also partner with the Cincinnati Flower Show, Jack Casino, Montgomery Inn Boathouse, The Taste of Cincinnati, Oktoberfest, Bunbury and Zoofari, and more. With each of clients, we strive to give them the confidence that their events with succeed year after year by choosing to partner with The Alleen Company. At The Alleen Company, we are here to serve you, no matter the occasion or size of the event. Regardless of your timeline and budget, we can provide the peace of mind that your event will run smoothly. We know that by collaborating with clients and vendors and providing top-the-line customer service, we can all prosper together. To learn more about The Alleen Company or to book our event planning services for your next event, contact us today. Like our Facebook Page to get information on upcoming local events and promotions! Follow us on Instagram to see pictures of our rental inventory at exciting local events! March for Babies fight for the health of all moms and babies. You will have the option to walk 3 or 5 miles alongside 15,000 other Greater Cincinnati/ N. Kentucky residents. Fundraisers will enjoy music, food and a family fun area! Help them reach their goal of $950,000 with your support. Start your team page today! We love being the event rental partner for the Hats Off Luncheon each year. The 2019 Hats Off Luncheon, co-chaired by Carrie Carothers and Jennifer Buchholz, will once again raise critical funds for preservation and programming initiatives for future generations to enjoy. We are excited to be the event rental company for this awesome event again! 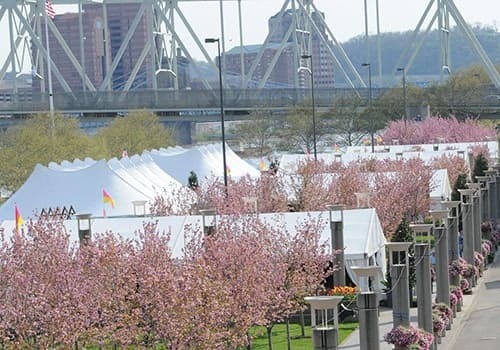 Bunbury which takes place along the Ohio River in downtown Cincinnati throughout Sawyer Point and Yeatman’s Cove, has hosted top artists including Post Malone, Jack White, MUSE, Tom Petty, Ice Cube, Florence and the Machine, Snoop Dogg, and more. Bunbury Music Festival boasts two main stages, one side stage and one acoustic stage. The Fest will take place May 31-June 2, 2019. Buy early to save! landscaped homes in a variety of architectural styles. The homes will range in price from $900,000 to $1,000,000 plus. Get into the holiday spirit and join us for the 11th Annual Holiday in Lights 5K Run/Walk at Sharon Woods. Be among the first to see this wonderful display of holiday lights on foot! Secure your spot today as we are limited to 1,850 participants, and we always sell out! Holiday in Lights presented by The Alleen Company, an established Cincinnati Holiday tradition for over 29 years, is an outdoor light display at Sharon Woods, a Great Park of Hamilton County, viewed by guests from the comfort of their own vehicle. Our charming light show is built over a mile of wooded roadway, the only drive through light show through the woods of a beautiful Hamilton County park! There’s no need to bundle up to enjoy Holiday in Lights; simply warm up the car, turn your radio dial to Warm 98, round up your friends, family, or a special date, and head to Sharon Woods. It’s that easy.